Howard G. Buffett is the son of Warren Buffett, one of the richest men in the world. The younger Buffett believes that to help people, you must first make sure they can feed themselves. He has a 3,200-acre farm in Illinois and another in Arizona, where research is being done in hopes of learning how Africans can become better farmers. Harvest Public Media’s Peggy Lowe visited Buffett on his Arizona farm and talked to him about the divide among those who believe in large-scale agriculture production and those who adhere to organic or small-scale farming. And what about Africa? Buffett believes the country will need the best of both worlds. Lowe: There's become a kind of Red State-Blue State in agriculture, where there's the conglomerates saying 'We're going to stick with this big, large production agriculture.' Then there's the organic and locals guys over here. You've said you're all for the locals. Buffett: Yeah, I mean, there's room for everybody. There's no reason to say, 'That doesn't work or somebody shouldn't do that. My brother is working on this in New York and it's really cool what he's doing. He's helping people get into farming, which I think is a really cool idea. I mean, rather than people getting out of it, they're getting into it and they're learning how to do local production and they've got farmers markets all over in the county where he's at. I think that's really cool. I think it's a great idea. But those guys aren't going to feed the cattle that provide the beef. They're not going to put everything on the shelves in the stores that we're going to need. The only thing that bugs me about the whole organic conversation: organic farming is a luxury in this country. Lowe: Go back to what you said, "Africa needs biological farming." Give me that definition. Buffett: OK, so biological farming is using nature and the benefits of natural systems to your benefit. So that basically means to me: disturb the soil less, you're going to try to prevent soil erosion, you're going to try to keep water quality where it is. So how do you do those things? Well, you absolutely have to use cover crops, you're going to no-till, or strip-till, but no-till's better. You use organic fertilizer but there's no reason to me that you wouldn't use synthetic fertilizer. I would say you use GMO crops. If you're in an organic system you don't use synthetic fertilizer, you don't use any chemicals and you don't use GMO crops. So to me, you take the best of an organic system and you take the best of a high-production system and you figure out how to put those two together and you figure out how to do that for a guy farming two acres. 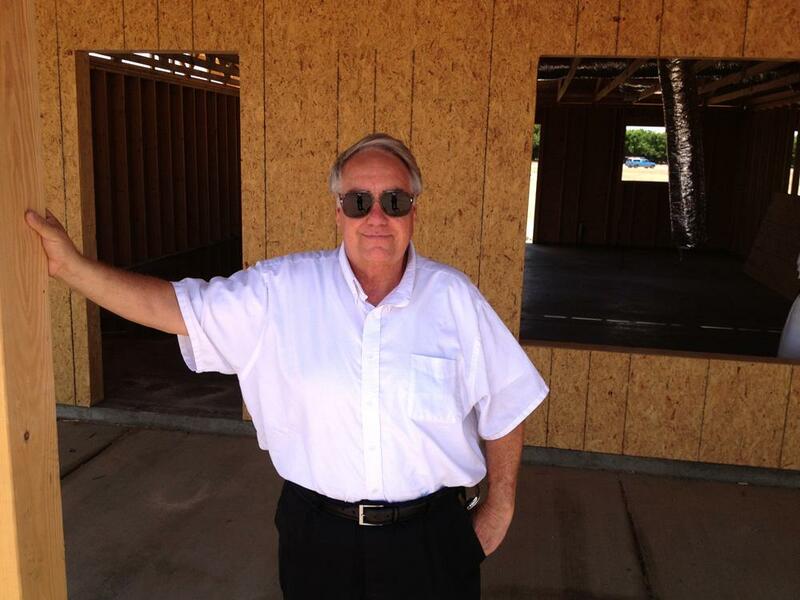 For Lowe's full story Howard G. Buffett and his research farm, click here.